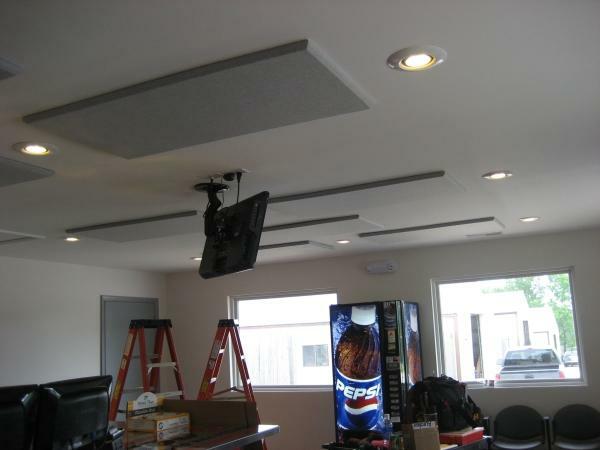 This customer’s new parts counter area had a tile floor and sheetrock walls causing an annoying echo. 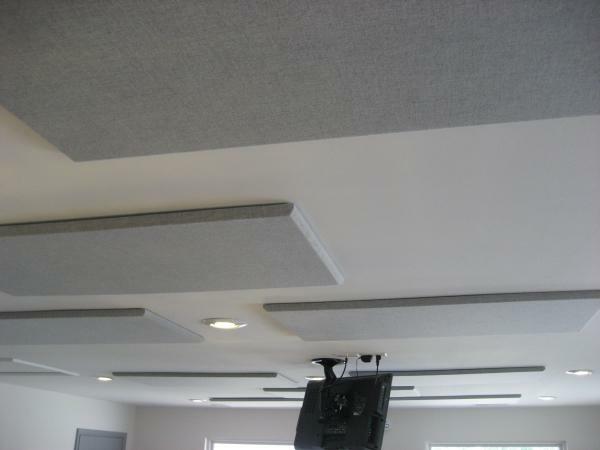 We plugged the dimensions of the area into our computer modeling software to see where acoustical treatments would sufficiently lower reverb (R/T) time in the room. 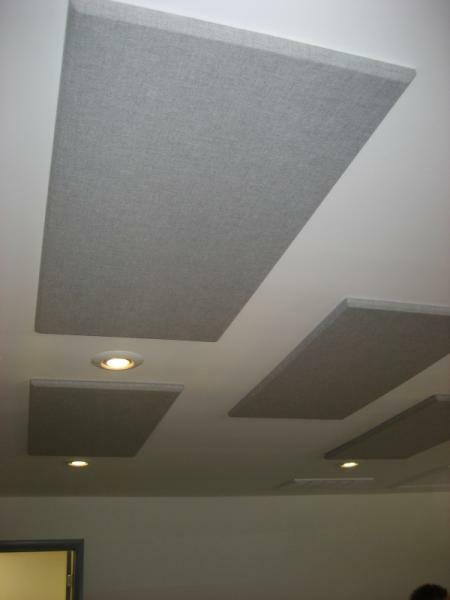 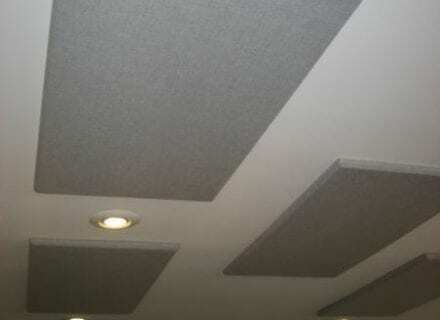 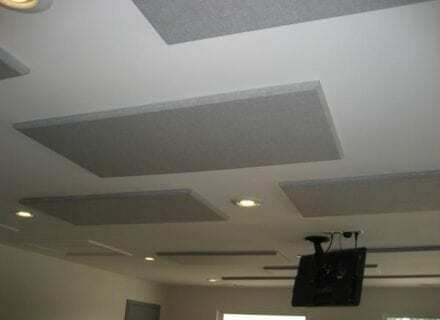 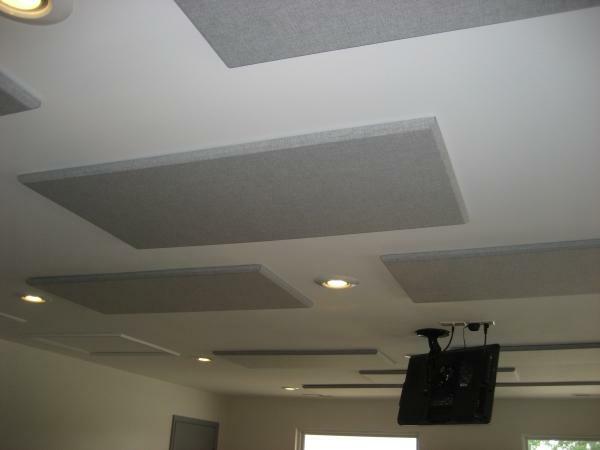 We subsequently installed acoustical panels on the ceiling area “fixing” the room acoustically.